Want to create your website to be engaging and intriguing to your viewers? 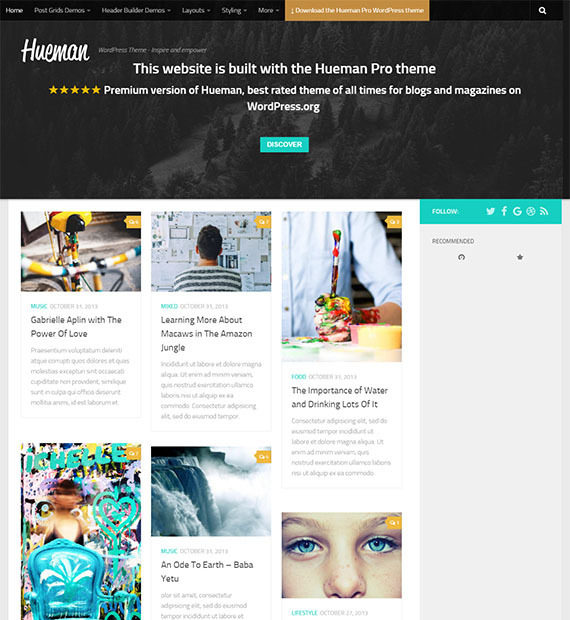 Well, The Hueman WordPress theme is here to solve your dilemma. This effective and feature-packed theme comes with a design that will help you increase your traffic and make sure that your users stay hooked to your site. The Best Rated theme for blogs as well as magazines, this is probably the best theme you can get for yourself!